I hope I don’t lose anyone! Ah, the end of the school day! Work’s done, classroom’s straightened up, and everyone’s packed up to go. Now to just safely deliver all of your students to their next destination. Seems like it should be easy right? You might be surprised. 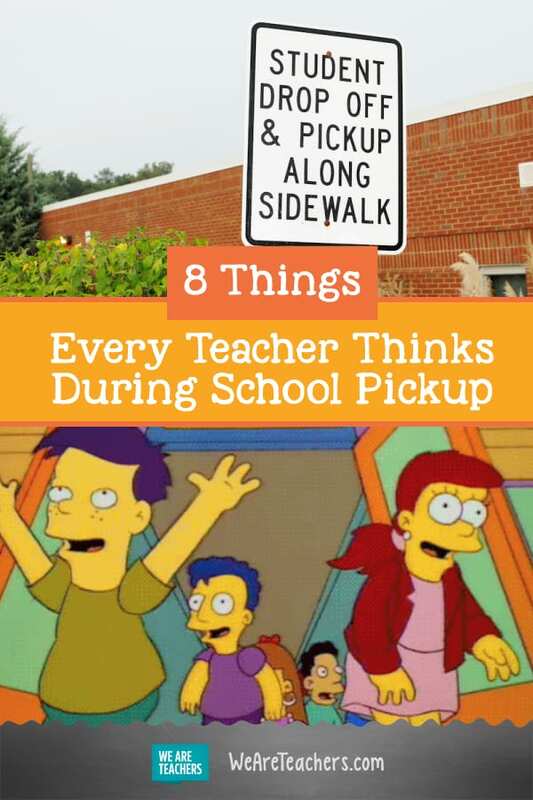 Here’s an insider peek into what teachers are really thinking during school pickup. 1. Wait! Let’s do this is an orderly fashion! My kids are (mostly) good at lining up during the day, but when the final bell rings, forget about it. In colder climates, school pick up from about October until April means helping with approximately 2,000 zippers. I love my students, but I also have no shame in tagging out. 4. Seriously? Ten minutes late with Starbucks in hand? I get being late every once in a while, but parents, if you show up with a venti Frappuccino, you better have one for me, too! 5. At least I don’t have bus duty. Unless you actually do have bus duty, in which case, ALL THE HUGS. Nothing like an end-of-the-day hug to remind you why you do this every day. 7. Okay, what’s next on the list? Because we all know a teacher’s day doesn’t end with the last bell. 8. Finally, anyone else ready for happy hour? To be fair, this isn’t every day—but sometimes you can already see that glass of wine with your name on it. 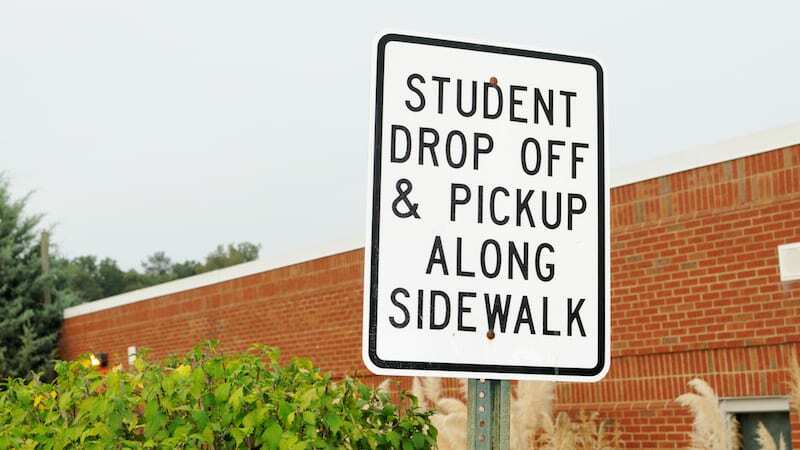 We’d love to know—what runs through your mind during school pickup? Come share in our WeAreTeachers HELPLINE group on Facebook. Plus, what teachers think during staff meetings.